Balmain is a suburb in Sydney’s Inner West and forms part of the Municipality of Leichhardt. Balmain Court house is on Darling Street and is one of many heritage buildings in the area. It is a striking example of a late Victorian Italianate public building which was designed by James Barnet and Edward Rumsey. 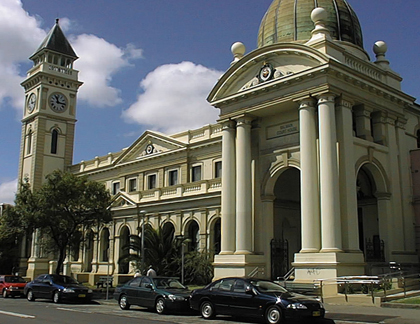 The courthouse was built 1887 and is seen as a landmark on the main street of Balmain. Balmain is accessible by Ferry or one of many Sydney Bus services. If you require an experienced Criminal or Traffic Lawyer to act for you at Balmain Local Court, Click Here to request an appointment with Sydney Criminal Lawyers® or call us on (02) 9261 8881 to get the help of one of our experienced lawyers today.